Mix all the ingredients up until you have a well mixed dough. 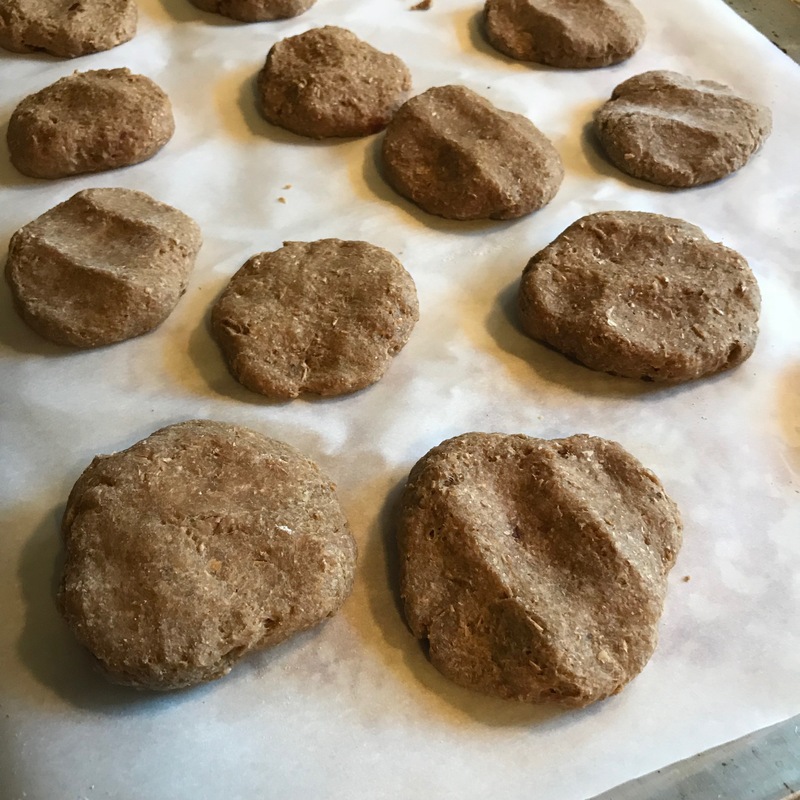 Roll dough into ping pong ball sized spheres (flour your hands to keep from sticking) and flatten with your fingers onto a parchment lined cookie sheet. You can vary the size of the treats to fit your dog. Cook for 25 minutes and let cool.